Hey Guest, we are running a Photoshop competition with a 32" monitor as the first prize - See here for details. Discussion in 'Graphics Cards' started by michty_me, Feb 8, 2019. Following up from another thread on improving my current system, A member recommended getting a RX580 or a GTX1060 card. My existing card is a Palit GTX 560Ti Graphics card 1GB so pretty ancient!! I'll probably be looking at upgrading the CPU, Motherboard and RAM next year so looking for the best card I can get for now under £300. Looking at previous threads, I've noticed these ones recommend. Any thoughts or further recommendations? If it makes a difference, I have a 1080p monitor with Freesync. This may get upgraded in the future also. The Vega 56 is the clear winner out of those in that price range. There have been some posts about people having compatibility issues with Vega and some boards, so I would also look in to that before placing an order. The board I have is a Asus P8Z77-V LX2 which is fairly old also. I've found the Vega for £269 too on here. I don't play the latest games on my PC so don't think it would be such an issue. You could always get a new one for £299, and sell the games for at least £30 if not more. Also, if you're not looking to play the latest games at 4K, you should be fine for the next couple of years. With shipping the B grade one comes in at £20, I decided it would be better off buying the new one at £300 for the full warranty. I don't think the free games are included anymore unfortunately. Vega 56 seems like the only thing worth buying in that price bracket. The only other option is to try and pick up a cheap 2nd hand card. I am considering second hand also. I've had a look around the for sale sections so may stick up a wanted ad. Must have just missed the free games, I'm sure I saw them there yesterday or the day before. Although, they are still listed for some other Vega 56 cards, so might be worth contacting Gibbo on that. As for the delivery cost, didn't regular members get free delivery? Not sure if that's the case for all items, though. Even second hand, it's going to be tough to beat this price if you can get the games and want an after market cooled card. Vega 56 hands down, there is nothing that comes close for under £300. Sell the games and it works out around £250. There you go, the man has spoken. I'll get it ordered when I get home in a few hours then. How do you go about getting the games? It isn't under the listing for the card anymore Gibbo. I shall fix that now! Hi Gibbo, Quick question or two. I've now linked my forum account as someone mentioned the free delivery. It's still trying to charge me £10 for delivery. Second question, Did you own a red Evo X at one point? No idea on delivery, best to post in CS. Yes owned a red EVO X FQ-360 some years ago along with my Saleen Mustang at the time, that was an epic two car garage. I think I remember you on the MLR. 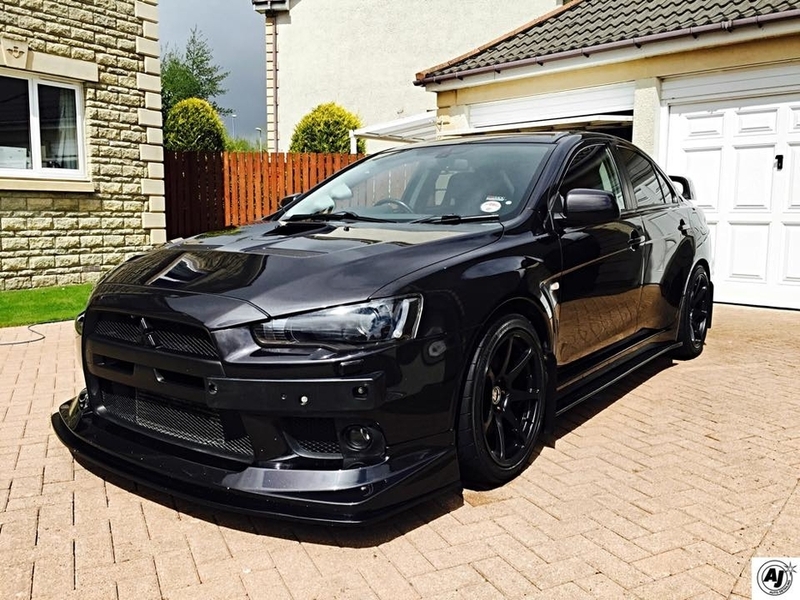 I've still got my Evo X. Still fun to drive to this day! Hope you are well anyway! Just found some pics on my FB, which I've just uploaded and yet awesome cars, most modern day equivalent is probably Golf R which is a hell of a lot quicker in a straight line (DSG) but not as capable or as well balanced in corners. Yup, I remember the reg now after your shared some pictures on the MLR! Do you ever miss it? This is how my one stands now. Sitting at around 500hp.